1. Israel (April 9): Prime Minister Benjamin Netanyahu has the polling momentum and a last-minute boost from Russia's Vladimir Putin, whom he visited today in Moscow. He also has three indictments hanging over him. Between the lines: Netanyahu and Putin are both fierce nationalists who like to project themselves as irreplaceable. 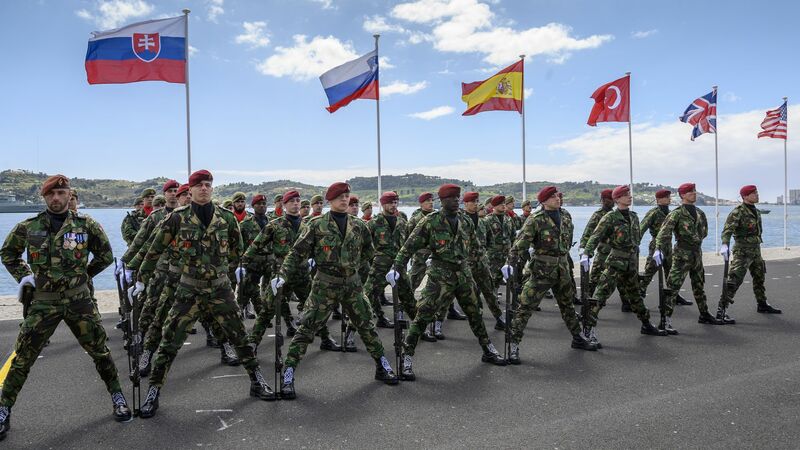 They also both have big stakes in the future of Syria, where Israel wants to operate freely against Russia's ally, Iran, without provoking Moscow's fury. 2. India (April 11–May 19): The world's largest-ever exercise in democracy will take place over five weeks across 1 million polling places, with 879 million voters eligible to take part. What to watch: Prime Minister Narendra Modi's Hindu nationalist BJP may struggle to win a majority but likely has the inside track to forming the next government. 3. Indonesia (April 17): The world's third-most populous democracy will host a rematch this month between President Joko Widodo (Jokowi) and the arch-nationalist former general he defeated in 2014, Prabowo Subianto. The backdrop: Indonesians are feeling much better about the state of the economy than they were five years ago, according to Pew. That's good news for Jokowi, who is running on his record of competence and infrastructure development. Some analysts fear democratic backsliding if Subianto pulls off an upset. Mark your calendars: Finland (April 14) and Spain (April 28) will also go to the polls this month. In between, Ukraine (April 21) will hold its presidential runoff. Busy days ahead! 3. 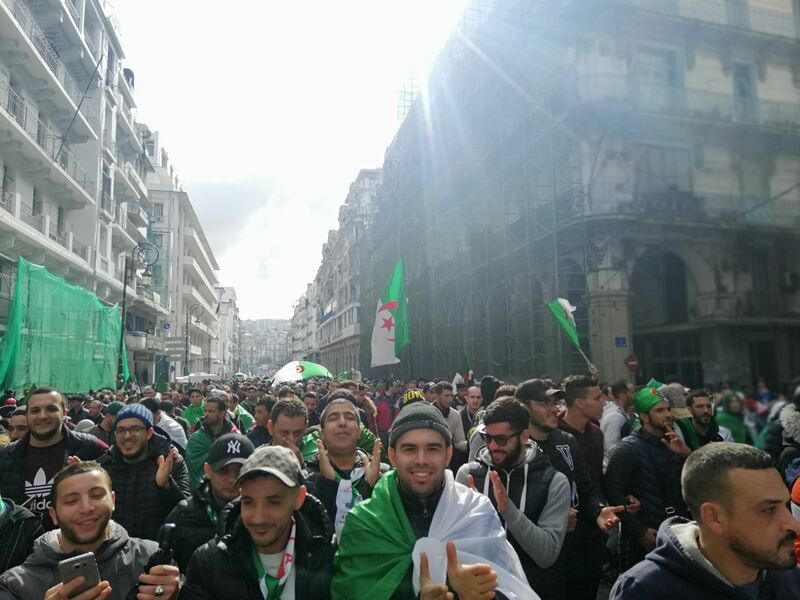 Africa: Algeria makes history. Now what? — Habib Brahmia of the pro-democracy Jil Jadid party, to The Guardian. 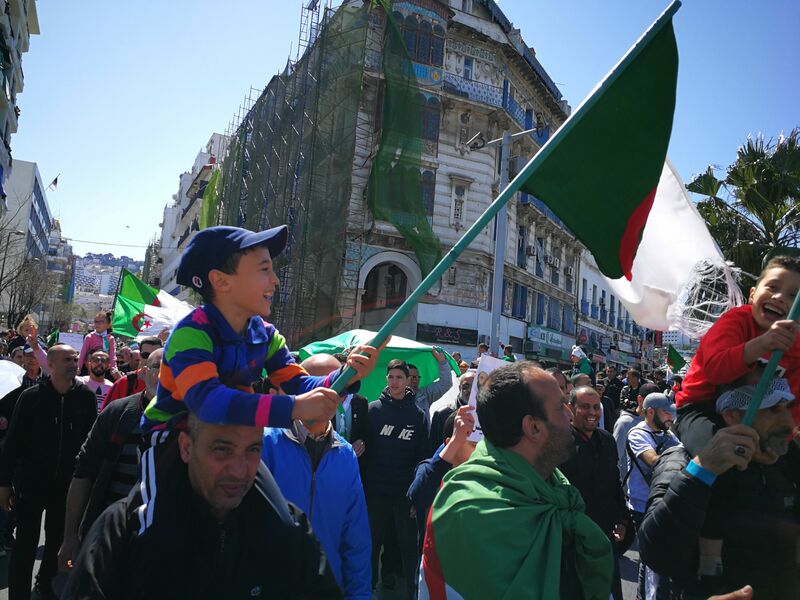 "I marched with protesters with the eyes of a political analyst but with the heart of my identity: an Algerian citizen," writes Carnegie's Dalia Ghanem of taking part in demonstrations last month in Algiers. Ghanem writes that the protests — dubbed the “revolution of happiness" — were so peaceful that shops stayed open and parents brought along small children. “This is the sixth Friday without one drop of blood. Algerians showed what they are capable of,” one shop owner told Ghanem. 1. "Rejecting a plank of President Donald Trump’s foreign policy, the House on Thursday invoked never-before-used powers to demand that his administration withdraw support from the Saudi-led war in Yemen. The Senate passed the same resolution in March with bipartisan support," per AP. "Trump is expected to issue a veto of the measure, his second as president, and Congress does not have the votes to override him. But the action was nonetheless a milestone for lawmakers, who have shown a renewed willingness to assert their war-making powers after letting them atrophy for decades under presidents from both parties." 2. The State Department says Secretary of State Mike Pompeo warned Cavusoglu, the Turkish foreign minister, of "potentially devastating consequences" if Turkey takes unilateral military action against U.S.-backed Kurdish forces in Syria. Turkey challenged the U.S. characterization of the meeting. At yesterday's conference, Cavusoglu said the U.S. has “no clear strategy" in Syria, "and that is the problem." Worth noting: Turkey's ruling party is challenging the results of Sunday's mayoral race in Istanbul, in which the opposition appeared to pull off a shock victory. A recount is ongoing. China's Xinjiang region has become a prison, and not just for the up to 1 million Uighur Muslims held in re-education camps. In this NY Times investigative interactive, Chris Buckley, Paul Mozur and Austin Ramzy capture frightening vignettes of life in the town of Kashgar. Police were ever-present in their reporting and in the lives of the town's residents. "Chinese companies are selling this surveillance technology. They make it sound like a sci-fi miracle allowing the police to track people with laser precision. But spend time in Xinjiang and you see that the surveillance state acts more like a sledgehammer — sweeping, indiscriminate; as much about intimidation as monitoring." "Neighborhood monitors are assigned to watch over groups of families. ... An army of millions of police and official monitors can question Uighurs and search their homes. They grade Uighurs for reliability. A low grade brings more visits, maybe detention." "Sometimes their choices made no sense. One erased this picture of a camel, though I was able to restore it. 'In China, there are no whys,' he said. 70 years is a heck of a long time for an alliance to last, as our friends at GZERO Media point out. My thought bubble: This is just another reminder that this era of relative stability (at least in the West) is the exception and not the rule. For a look at a time the European powers had less-friendly relations, I'd recommend the excellent Age of Napoleon podcast. "The crew performed all the procedures repeatedly provided by the manufacturer but was not able to control the aircraft." Have a lovely weekend — see you back here on Monday evening.